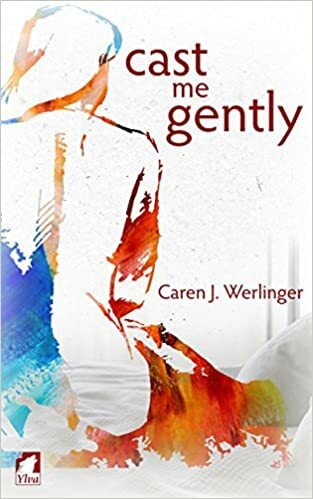 Cast Me Gently, by Caren J. Werlinger is a breathtakingly beautiful book. This book is everything a romance novel should be. It has angst, obstacles, and truly heartfelt emotions. This sometimes bittersweet story will pull you in and steal your heart. Ronald Regan is months away from being sworn into the office as the president. Pittsburgh, Pennsylvania’s economy is right on the cusp of bottoming out. The number of out of work men and women is growing, along with the number is people forced to live on the street. This is the setting for our story, the early 1980s, a time of scientific discovery, but also a time when many Americans did not have the civil liberties that we do today. Teresa Benedetto is an Italian-American that life is tied to the life of her conservative, overbearing parents. She works for them as a pharmacist in one of their three stores, as well as living at home with them. Other than her few years away at college, Teresa has never left the comforts of her childhood home. She spends her life catering to her large family, tending to their needs, all the while never really experiencing a life outside of the family. Teresa has only begun to feel in her mid-thirties that life is rapidly beginning to pass her by. She feels lonely all the while be surrounded by people. Ellie Ryan is a teller at the bank the Bendetto family uses for their store’s daily deposits. Ellie has not had the easiest life thus far. Ellie had to face the death of both her parents at an early age, by the time she was in high school she was in foster care. As soon as she was eighteen she was living on her own, struggling to make enough money to keep a roof over her head and food in her belly. She spends any extra time and money she has handing out sandwiches to the homeless, searching the streets for her brother, Daniel. Ellie knows that she is like them, that if not for luck and the generosity of a few friends she would have ended up living on the streets as well. Teresa and Ellie meet and almost instantly become friends. These two develop a friendship that is based upon an undisclosed attraction that neither feels safe admitting. Oh, but that current of yearning is strong. Their journey to each other is sweet and endearing. You find yourself easily stepping into both Ellie and Teresa’s shoes. As the reader you feel their anxiety as well as their passion and strength. You cannot help but to root for each of these women to find their way to each other. Caren J. Werlinger has written one of the most captivating stories I have ever read. This book stole my heart right from the beginning and brought me on a roller coaster of emotions. I felt Ellie and Teresa’s pain, their happiness, loneliness and despair. What a fantastic book to bring that right to the reader, this story is just brilliant. For the life of my I cannot figure out why I hadn’t read this book earlier. This is a must read! Note: I was given this book by the author, Caren J. Werlinger, in exchange for an honest review.